Wine glasses to enhance each variety. Perfect. Handcrafted wine glass with pewter stem. 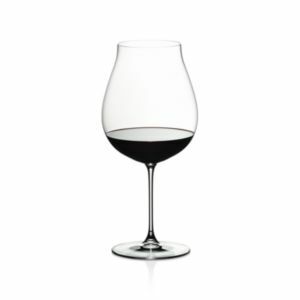 Portugal Handcrafted wine glasses. Made of mouth-blown glass. Dishwasher safe on gentle cycle. Made in the Czech Republic. Dishwasher safe. Made in Portugal. 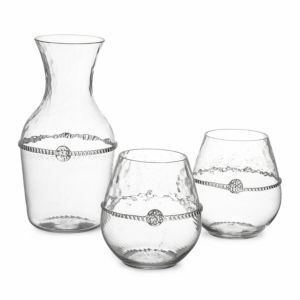 Handcrafted four-piece stemless wine glass set. Set includes 8"H, 24 oz. carafe and two 4", 18 oz. red wine glasses. Glass Handcrafted glass flutes. Four-piece set. Holds 6 ounces. Wine glasses with gradient design. Made of glass. 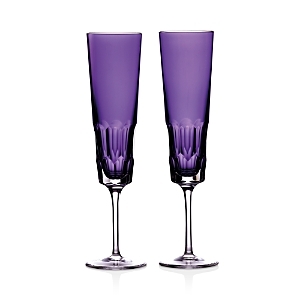 Champagne flutes with gradient design. Made of glass. 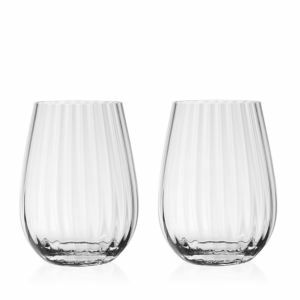 Stemless wine glasses with gradient design. Made of glass. A true British classic, Botanic Garden was designed by the celebrated designer Susan Williams-Ellis using early 19th century illustrations as her inspiration. Botanic Garden's delightful mixture of floral motifs and signature leaf border set a new trend for casual dining when introduced in 1972 and is just as stylish today. Stock up and enjoy entertaining with the rounded, modern style of the Hotel Collection Stemless 8-piece glassware set, featuring two versatile sizes also suitable for daily use. Featuring a streamlined silhouette and stemless design, this set of wine tumblers brings versatile appeal to the table. 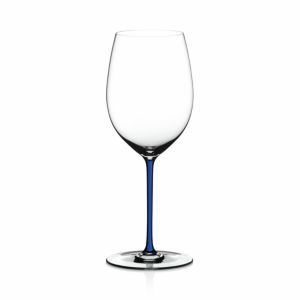 Spode's Blue Italian stemless wine glasses bring additional sophistication to your tablescape. A delicate floral pattern in soft blues complement the dinnerware pattern for that special occasion Spode's Blue Italian wine glasses bring additional sophistication to your tablescape. A delicate floral pattern in soft blues complement the dinnerware pattern for that special occasion. Spode's Blue Italian champagne flutes bring additional sophistication to your tablescape. A delicate floral pattern in soft blues complement the dinnerware pattern for that special occasion. 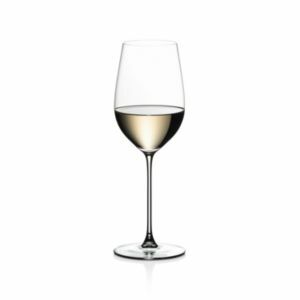 A beautifully light silhouette and classic crystal design pair with a vessel perfectly suited to your favorite vintage in this striking stemware from Riedel. 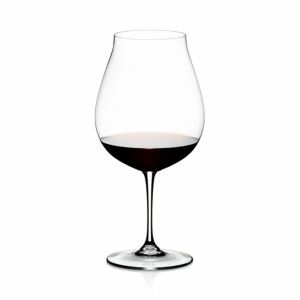 A beautifully light silhouette and classic crystal design pair with a vessel perfectly suited to your favorite vintage in this striking stemware from Riedel. Handcrafted wine glasses. Crystal. Handcrafted Pinot Noir glasses. Crystal. Handcrafted Sauvignon Blanc glasses. Crystal. Handcrafted Chardonnay glasses. Crystal. Handcrafted champagne coupe. Crystal. Handcrafted champagne flutes. Crystal. Handcrafted stemless wine glasses. Crystal. Handcrafted water glasses. Crystal. 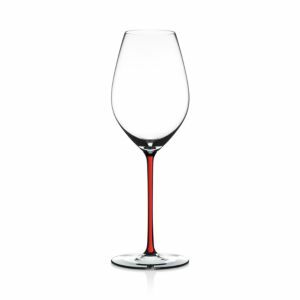 Designed for the enjoyment of fine wines, the Elegance Optic Big Red features a spacious bowl and rounded shape to allow natural flavors to breathe and intensify. Waterford Elegance Optic is an excellent choice for daily use, offering subtle decoration for a relaxed yet elegant feel. 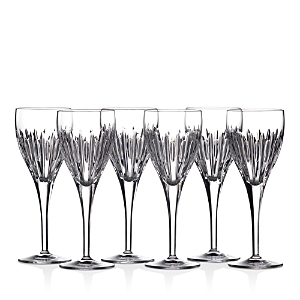 Each crystal Elegance stem is uniquely contemporary in design, with a clear, delicate bowl, deep V plunge, crisp rim, pulled stem and flawlessly modern profile. 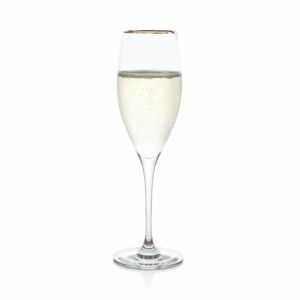 Designed for the enjoyment of champagne and sparkling wines, the Elegance Optic Classic Champagne Flute features a narrow bowl for holding effervescence, allowing you to savor every celebration. Waterford Elegance Optic is an excellent choice for daily use, offering subtle decoration for a relaxed yet elegant feel. Each crystal Elegance stem is uniquely contemporary in design, with a clear, delicate bowl, deep V plunge, crisp rim, pulled stem and flawlessly modern profile Designed for the enjoyment of fine wines, the Elegance Optic Crisp White features a tall, narrow silhouette and a slim bowl to accentuate the wines characteristics and flavors. Waterford Elegance Optic is an excellent choice for daily use, offering subtle decoration for a relaxed yet elegant feel. 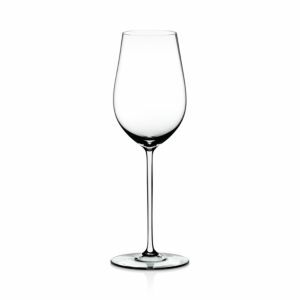 Each crystal Elegance stem is uniquely contemporary in design, with a clear, delicate bowl, deep V plunge, crisp rim, pulled stem and flawlessly modern profile. 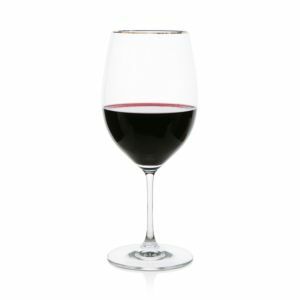 Lead crystal claret wine glass in Waterford's most popular pattern, "Lismore." 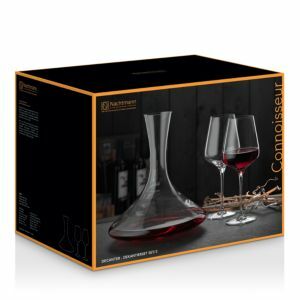 Specially designed to accentuate the aroma of full-bodied red wines, this exquisite wine glass wears the intricate diamond and wedge cuts characteristic of Lismore crystal. Lead crystal balloon wine glass in Waterford's most popular pattern, "Lismore." A signature pattern mixed with a contemporary stemless look from the Lismore Nouveau Collection. 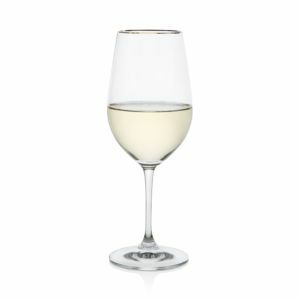 Choose white wine (shown), deep red wine, or light red wine glass. Handcrafted of clear crystal with diamond and wedge cuts. Flat base. Each arrives in a set of two. Dishwasher safe.